That’s why I wasn’t inspired by the 2017 Design Indaba Conference. It is always inspiring. But some days my Instagram feed inspires me too. Design Indaba was more than that. After three days of listening to some of the world’s most intellectually curious individuals – people asking tough questions, challenging the status quo, reinventing staid models, innovating for the betterment of society – I felt enabled. And deeply humbled. Action is what the world needs. Inspiration is irrelevant without it. And action doesn’t require inspiration. Getting started is all it takes and that’s what all the conference speakers had in common. They all simply got started. Hailing from Down Under (with a capital D! ), TL Uglow spoke on the topic of doubt. What I wonderfully fantastic concept to try and make sense of as it is, for most people, a big part of the creative process. So why not turn that into something productive: A curiosity about doubt! The premise of her approach is that even though the world values logic and certainty, doubt is what helps us grow. It is when we accept doubt as an integral part of being human that we become more creative and more generous. Her work asks questions around access versus ownership in the digital world. Ownership takes on a different meaning in this context as we are only able to access information (a book, for example) but not own it in the same way that a hard copy book becomes our property. In a way, the exchange is a lot less personal. This relates closely to Uglow’s argument that context changes content. Her Editions at Play projects explores this in more detail, looking at more dynamic ways of creating books. Ways that harness the power of the internet and hyper-connectivity to tell a story. Discipline and passion need to go hand-in-hand. I love that all the work at Collins start in their library. Creatives may reference journalism, mythology, astrology, whatever, but they may not access it via the internet. When we’re disconnected, it seems, magic is more able to happen. Data. It’s everywhere. Big data. More data. It’s trendy. And it can be overwhelming. That is until you understand that data is a language and once you understand that language there is beautiful poetry to be made in that language. With her Dear Data project, Giorgia Lupi asked if it is possible to use data exclusively to get to know somebody else. She set about finding out through a year-long analog data drawing project with Stefanie Posavec, on the other side of the Atlantic. 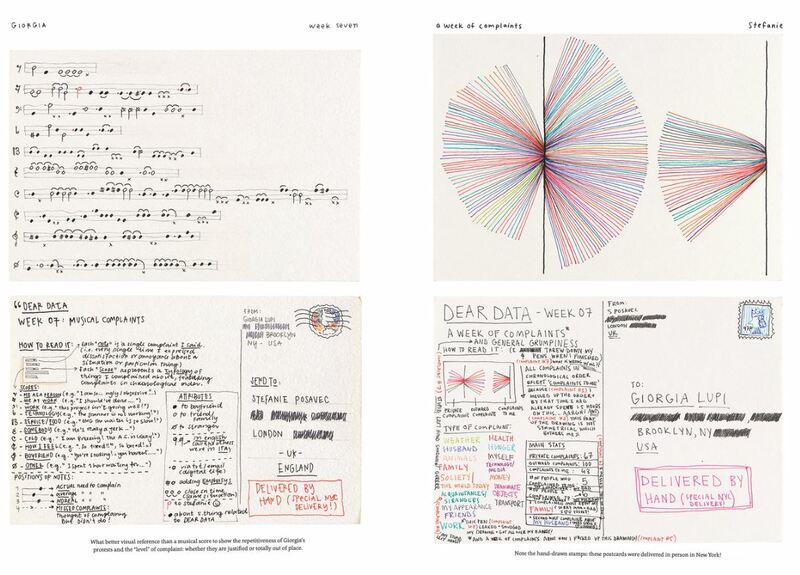 They collected and hand draw their personal data and sent it to each other in the form of postcards. They also became friends. 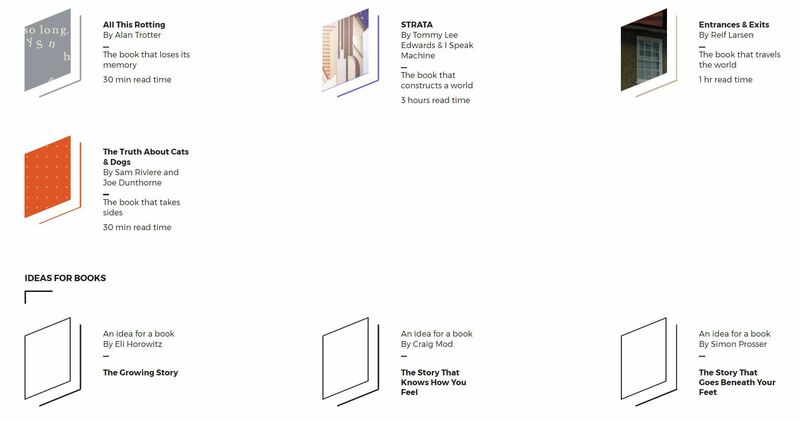 The project is a wonderful commentary on both the complexity and simplicity of personal documentary, arguing that “we can use data to become more humane and to connect with ourselves and others at a deeper level”. Your biggest design project is your life, so how do we use design to create a productive and satisfying life? This is a question Ayse Birsel wrestled with some years ago when she realised she could apply the principles of design thinking to a human scale – to her very own life – to help her live a more meaningful life. She explained that in the overlap between wants and needs, creativity sits somewhere in the middle. Creativity is what happens when your wants and needs come together in harmony. Achieving this harmony starts with drawing this life and placing yourself at the centre of it all and then adding the visual details. She then went on explain that we value these qualities in others because we emulate them in ourselves. And these qualities are essentially the values around which we need to design our lives. The process further involves deconstructing the emotional, physical, intellectual and spiritual aspects of life, essentially taking the time to think about how you think. Once you have a better understanding of that it becomes easier to make decisions that support those values, which ultimately make you happier because it means the decisions are aligned to the values you hold dearest. Just as a designer draws plans and prototypes, in the same way we can draw the roadmap for our lives. It’s as simple as starting with expressing the vision you have for your life. After three days of having my Mind.Blown. I felt invigorated. Great things happens when we make them happen. Apply discipline and do.